A memory for lifetime! 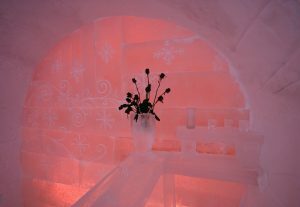 Only a 2 hours flight from Oslo and north of the polar circle you find to exotic hotels, which are entirely made of ice and snow: Kirkenes Snowhotel and Sorrisniva Igloo Hotel in Alta. These amazing hotels melt down each spring, and have to be rebuilt every December! 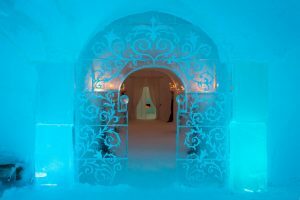 The Snow hotel has a large Ice bar room and 20 hotel rooms, a large service building next door with comfortable lounges, showers, bathroom facilities and a sauna. 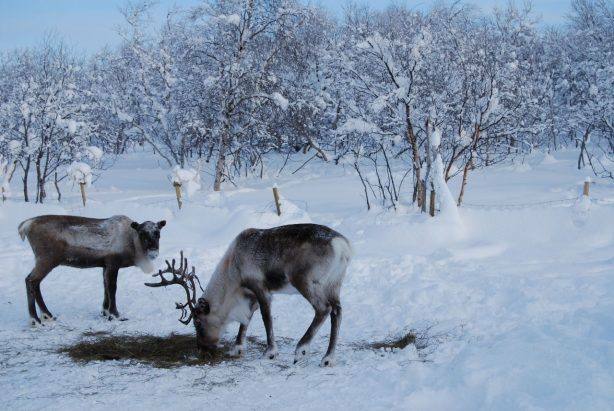 They also have an exotic restaurant offering meals based on local produce, a Dog yard with 130 huskies for Dog sledding trips & a tiny Reindeer park. 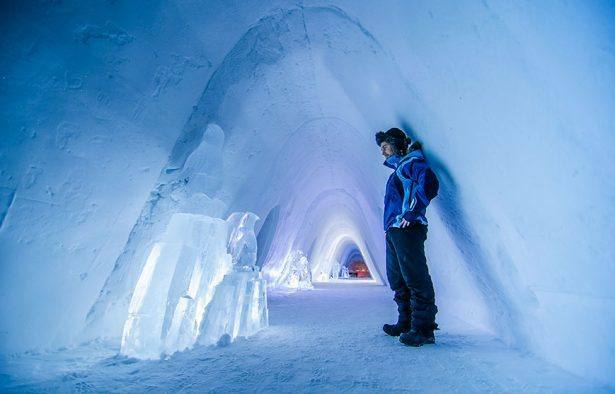 Only twenty minutes from Alta city centre you can spend a night at the Igloo Hotel. 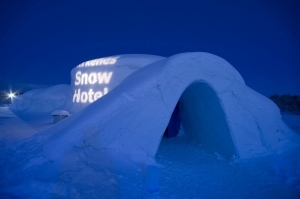 Every year the hotel has a new unique theme from the Arctic part of the world. Apart from the 30 bedrooms the hotel houses an ice bar, ice chapel and beautiful sculptures. When staying at the hotel you will have access to the warm service building the whole stay. This building contains a luggage room where your bags are stored safely during your stay. 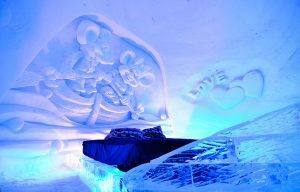 Read more about Alta Igloo Hotel. 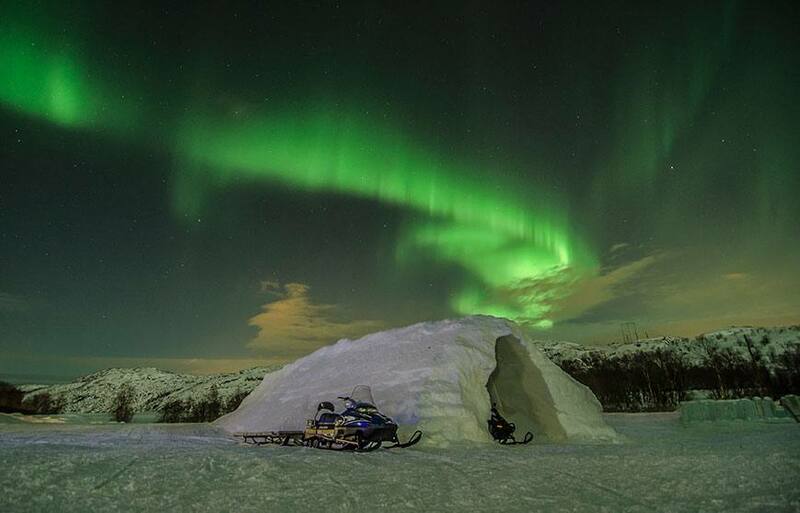 Kirkenes and Alta are both ideally located in the middle of the Northern Lights zone. To enhance the visibility of the Northern Lights, both hotels are located outside the light pollution of the town. Kirkenes Snowhotel and Alta Igloo Hotel offer excursions to the amazing, Arctic wilderness. 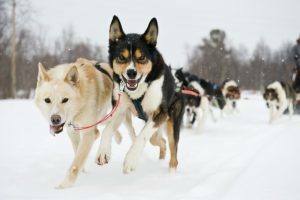 You can join a 2 hour wilderness dog sledge trip to the Pasvik valley, close to the Russian border, either in day time or to hunt the Northern Lights. 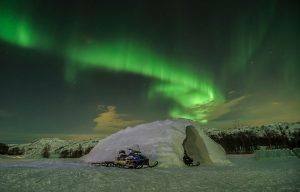 Or why not try a unique Snow mobile safari in the Polar night, only lighted by head lamps, chasing the Northern Lights followed by an overnight stay at a cozy mountain lodge. How do they actually make the Snow hotel?